Coastal Occasions in Jacksonville Beach, Florida was the perfect venue for this styled shoot. It is an outdoor venue with overhead pergola, lights, and a blank enough setting to really be able to style your wedding according to your theme. The theme for this styled shoot was; Vintage Romance for the Modern Day Bride. We wanted to show brides that vintage can be used in a more modern way, while still keeping the dreamy romantic feel of it. The florals were a beautiful white with lots of greenery added to the sweetheatable and the mantle. 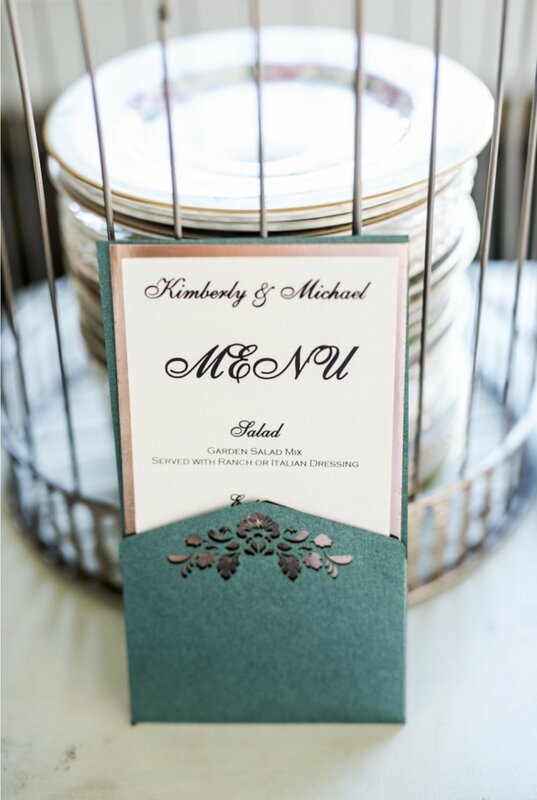 Pops of color were used for the Invitations, cake, rug, and the awesome green velvet sofa. 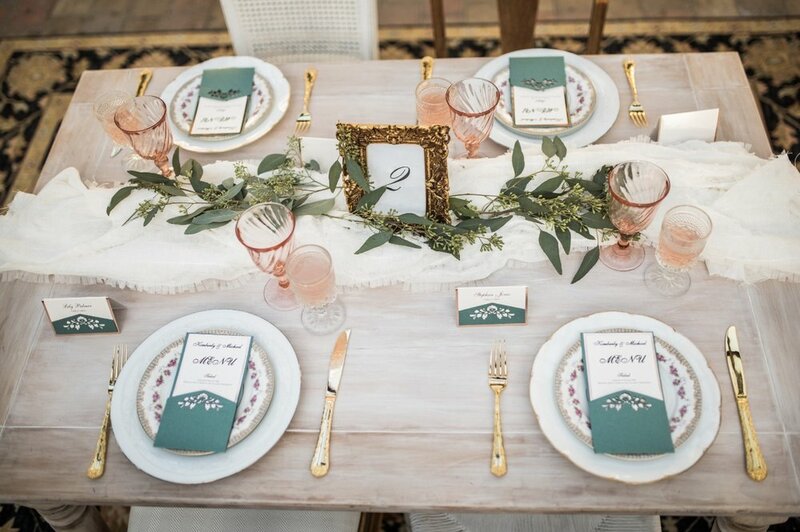 Blush and softer pastel colors were used for the table decor to add to the romantic feel of the shoot. 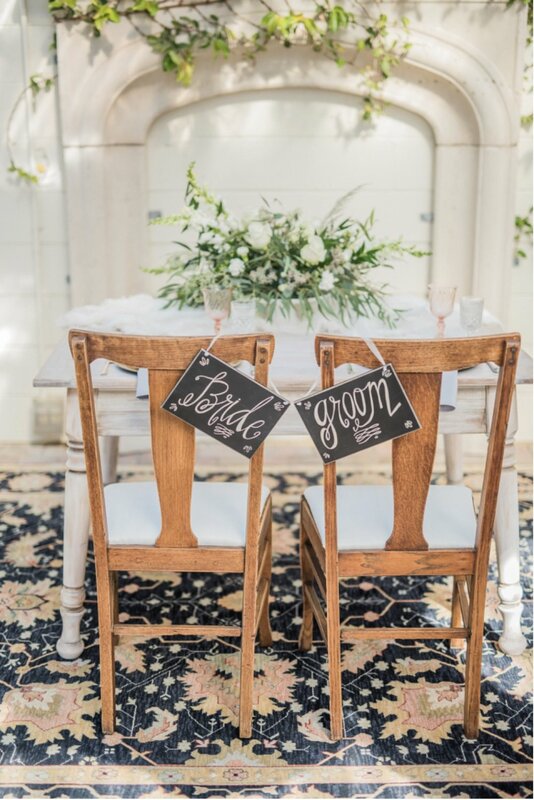 If you’re unsure how to pull of the vintage theme, take a look at the pictures from this shoot for lots of great inspiration. Furniture/Rug: Velvet Crush & Co. I loved everything about this Sweet as a Georgia Peach styled shoot! The venue; Tybee Island Wedding Chapel was absolutely beautiful and set the stage for a truly southern styled wedding shoot. Anytime I can incorporate my teacups into a table setting, I am over the moon! I brought several of my floral teacups for this shoot. The place settings I chose had hints of peach and I used pale peach napkins. The peaches in the champagne coupes were my favorite detail of the table decor. To see more of this styled shoot you can check out southerncelebrations.com Lots of inspiration for your southern wedding! We spring forward tonight! Yay! I love daylight savings time and I’m hopeful Florida will soon be on daylight savings time permanently. As we move forward ahead one hour we also move forward to spring and that means spring wedding season. 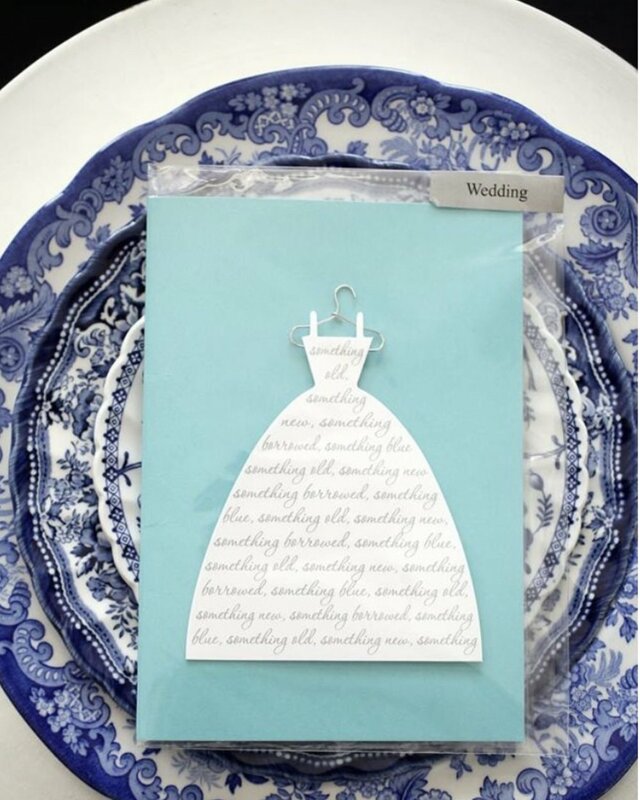 Dish It Out is ready to dish out some spring wedding table settings! When I think of spring I think of blossoms, blooms, and all the beautiful colors. The pinks, greens, yellows, and lilacs. You can incorporate all of these lovely colors into your table settings. 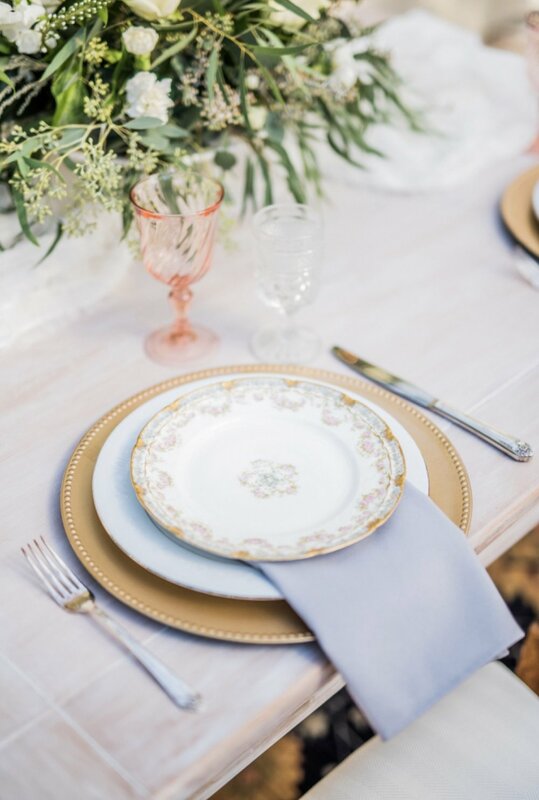 Mismatched floral plates with spring colors would set a beautiful spring wedding table. Pair the plates with goblets that compliment the colors. Or bring in the colors of spring with just some goblets and use more subtle plates. Milk glass goblets would also be lovely and unique for a spring wedding. I like silver or gold flatware and chargers for spring and even a mix of metals is great! There’s no rule that you have to use one or the other. Have fun with your table settings! That’s what mismatched is all about. Take a look at some of the spring table settings I’ve set up and decide which you like the best. I’m pretty partial to them all! Bring on spring!